The majestic facade of Seven Oaks had just fooled me. 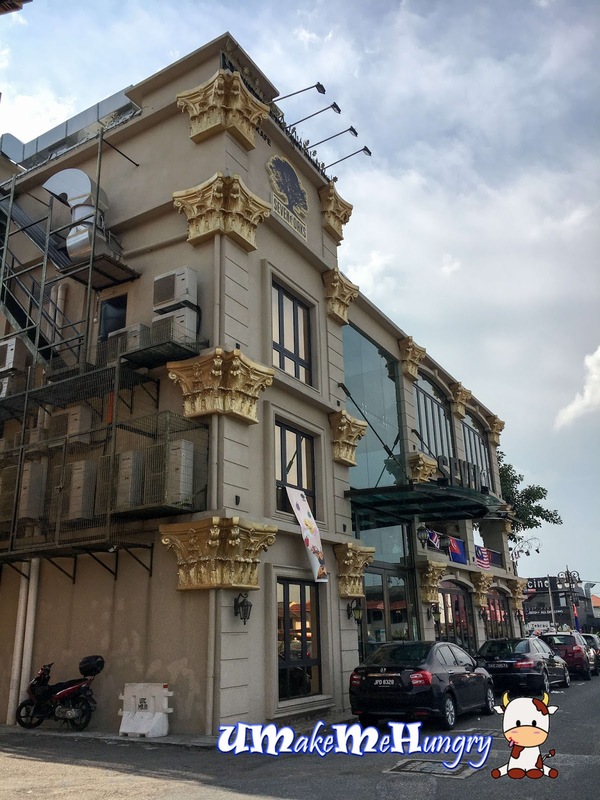 We were astounded by the grand appearance of this 3 Storey high building for this definitely look more like a hotel than anywhere else for F & B. Interior of the building was kind of posh and up scale, welcoming customers with generous and spacious looking tiles, sheltering them with cooling Air con and away from the scotching hot weather at its 1st Level. The first level is where the bakery is! You can look through the glass panels, admiring the pastry chef / bakers at work. 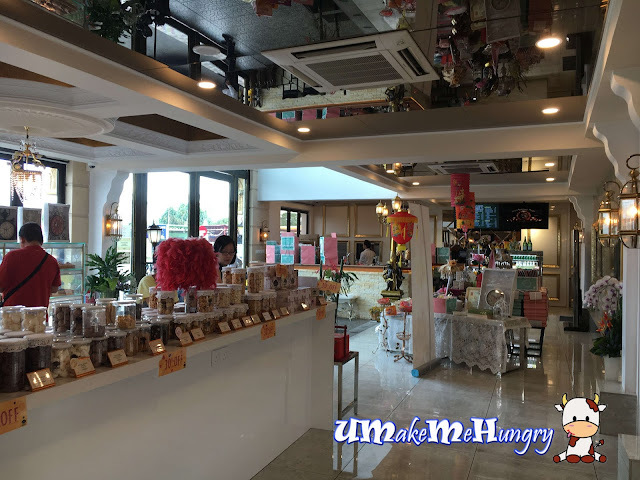 It's also a place for walk in customers who want to buy some breads or cakes off from the shelves. Dining area will be at the upper floor and you can take the flight of stairs up there or by the elevator. Light and refreshing with alternate layers of Charcoal flavours with fresh cream. 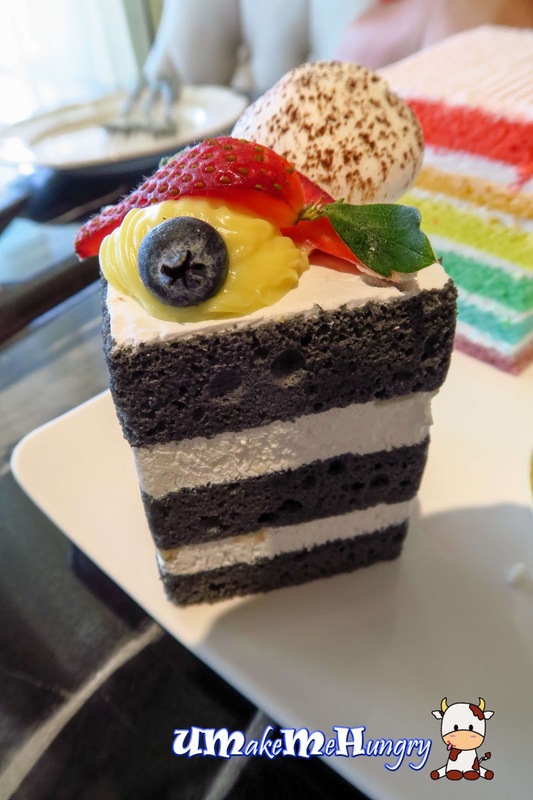 The cake is topped with a little slice of strawberry, a blueberry and a lychee. 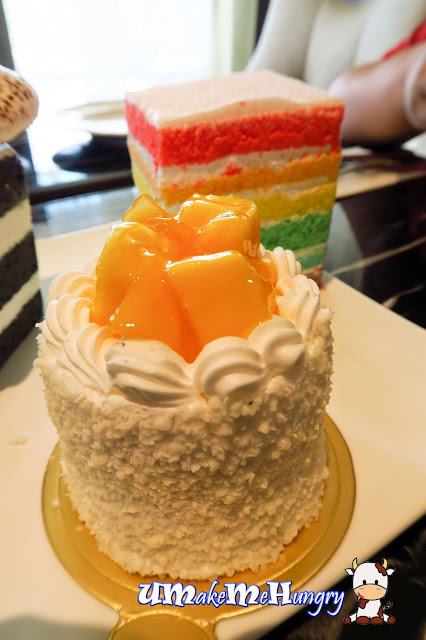 Mango Charlotte was not too bad either. Fragrant and filled with fruity flavours from the mago cubes with sweetness. If I were to choose among these 3, I will vote for this. 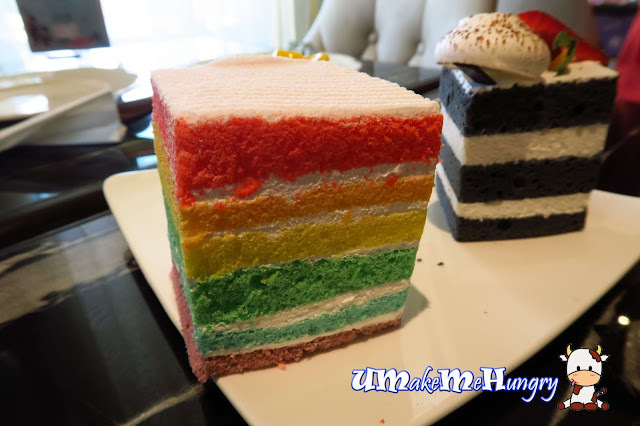 Colorful things make one's mood brighten up and I'm glad that that there isn't any strong artificial flavours from the colors layers with alternate fresh cream layer. A mix of apple, cucumber and soda. Its abit of soury due to that green apples are used. Types of Yoghurt like Mango, Strawberry, Blueberry and Banana for us to choose from. 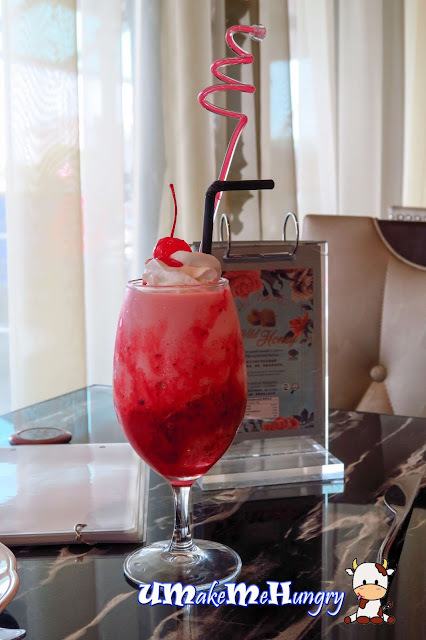 Having Strawberry smoothies as my comfortable choice, I find it a total pleasure to have enjoy such a glass of drink. Slightly bitter taste with its chocolate fudge that spelt out the original flavour of it. 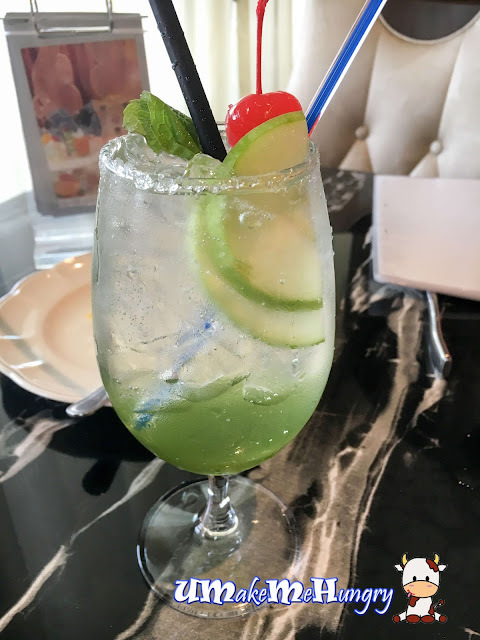 The drink is just another cooler to beat the heat outside of the building. 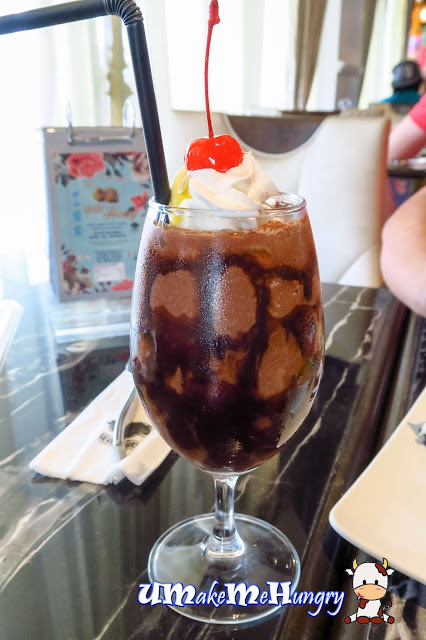 Whipped cream and preserved cherry had topped the drink, what's more, the drink was served in an elegant glass to make everything looked nice. Service here was not too prompt but I wish to be back again to enjoy their main courses for their environment is good and relaxing.